Alyson Avenue return with a new singer. Alyson Avenue called it a day back in 2006 and when singer Anette Olzon snagged the vacant position in Nightwish it seemed the band would be forever remembered for the two albums of melodic rock they had made in the vein of Heart and Robin Beck. However, good AOR bands rarely die (just check out Frontiers Record Label's roster for proof) and Alyson Avenue return with a new singer in Arabella Vitanc and a renewed vigour. The guitars are more up front and Niclas Olsson's songs echo 80s hit songsmith Dianne Warren, and if he could take these songs back in a time machine to the late 80s he could flog them to Heart or Cher. The biggest change to the band, of course, is the new singer Vitanc. She's a good choice, not dissimilar to Olzon and comes across like a higher pitched Swedish Robin Beck; slightly more shrill than the huskier Beck. Lead off track 'Liar' should be put on wikipedia as a definition of female-fronted melodic rock. 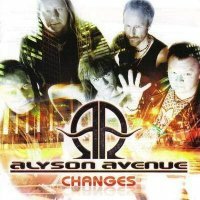 The rocking 'Changes' and 'Into the Fire', with its chugging guitars, are heavier than the Alyson Avenue of old. Some verses can tend to be on the pedestrian side but you can quickly forgive them that because when they hit the choruses they are bursting at the seams with layered vocal harmonies and melodies. The very Robin Beck sounding 'Amazing Days' has a killer guitar solo, the parpy 'I Will Be Waiting' and 'I'll Cry for You' have choruses that stick in your head so easily you'll need to get them surgically removed. 'Don't Know If Love Is Alive' is the paler twin of Heart's 'All I Want To Do Is Make Love To You' and ex-Jaded Heart singer Michael Bormann duets well on 'Will I Make Love' with his and Vitanc's voice fitting well together. With Heart currently disowning their MTV conquering days, Alyson Avenue are back looking for the female-fronted melodic crown. Robin Beck you have competition.